"Holland has been invaluable both as a personal friend and in a business sense. Several years ago I was involved in the sale of my property on Union Street in San Francisco. It was a very convoluted transaction, and I was having major difficulty. Holland stepped in and did everything possible to assist me in dealing with everyone involved .... realtors, lawyers and buyer. He wrote letters, met with various individuals and managed the process on my behalf. Free market rent evaluation! In addition, our Comparative Market Analysis is designed to provide you with a comprehensive review of the regional and local real estate market to better position your property for optimum return performance. Call today for a free rental analysis and price quote. All applicants are thoroughly screened for credit and rental histories, income and employment verification and/or asset values by a rigorous in-house process utilizing information from credit reporting agencies, former housing providers, employers, financial statements, etc. The fee for this service is waived for new clients. Tenant placement services may also be purchased a-la-carte. We make sure your property is well maintained at all times. Depending on property size and requirements, we can provide regular upkeep and ground maintenance on a twice-monthly basis and/or monitor any third-party vendors necessary to get the job done. Please call to discuss your particular property and maintenance requirements. 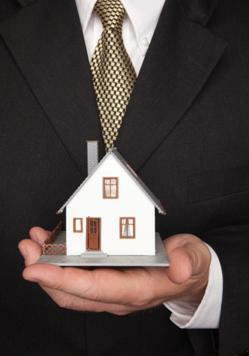 Monthly/annual property reports are provided via e-mail and generally available by the 5th day of each month. We offer a full accounting of all proceeds and expenses as well as direct deposit of your rental income straight to your checking account. This reporting and funding service is included in your monthly management fee. We can also provide annual forecasts at a minimal additional cost. We maintain a large database of third-party service providers, which are pre-screened for dependability, quality of service and value provided. In many instances, Stepwise Property Management has established pre-set service rates with the vendor which are provided exclusively to us and passed along to you. In the unfortunate situation where eviction proceedings need to be initiated, we act quickly and decisively to resolve the situation and get your property back on the market again. Should legal counsel be required, we can recommend several attorneys specializing in the process.